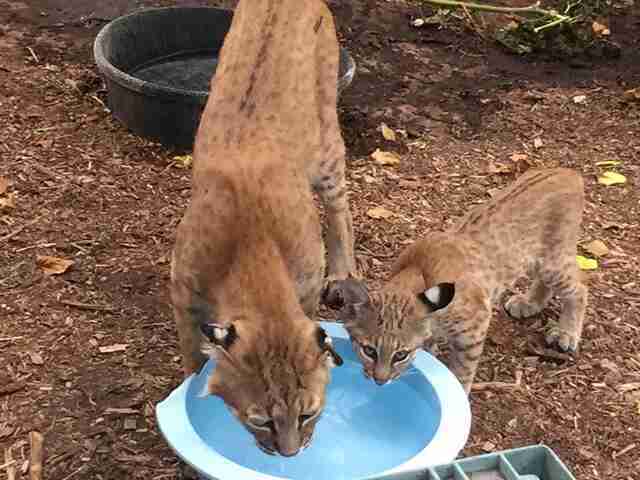 His name is Robert — and he's currently raising nine orphaned baby bobcats. 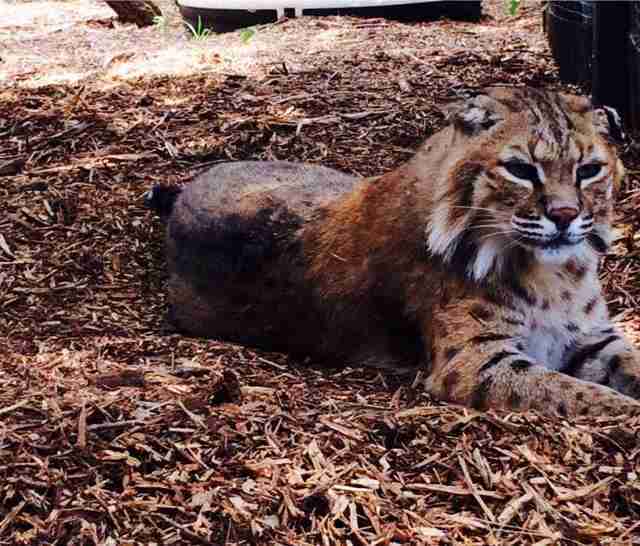 A bobcat named Robert was just a baby when he was taken from the wild, neutered and declawed. Even though he ended up being rescued from the pet trade back in 2004, he would never be able to return to his natural habitat. Without his claws, Robert wouldn't be able to catch prey. But Robert ended up finding a new passion in life. The people at WildCare Oklahoma gave Robert a forever home back in 2004. 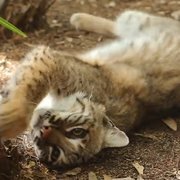 The next year, a bobcat kitten came into their care. They put the baby in the enclosure next to Robert's large, lush enclosure. And he just couldn't stay away. "Robert was ALL about him," Rondi Large, director of WildCare Oklahoma, told The Dodo. "He tried to reach over and put his paws inside the enclosure. 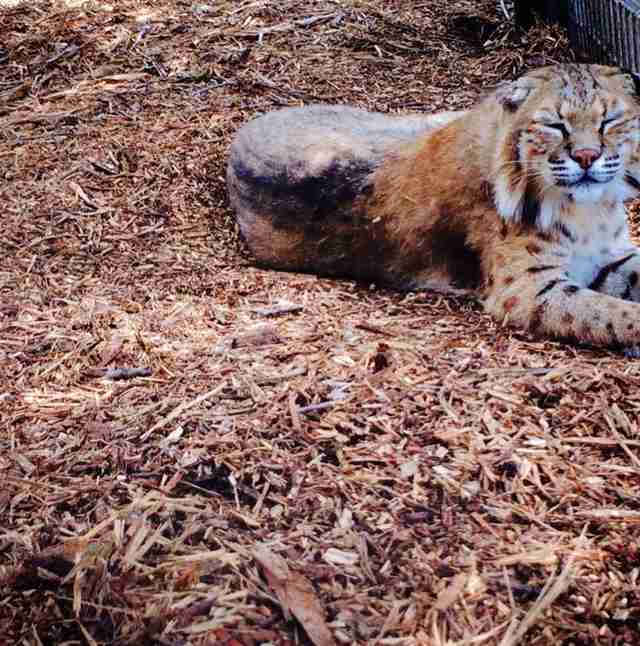 Typically a male bobcat shouldn’t be so friendly with cubs, but we let them stay next to each other." There's a very tricky part of wildlife rehabilitation — you want the animal to accept help from human beings, but you don't want them to get at all acclimated to being around people if they are ever going to make it in the wild. And seeing the warm, paternal side of Robert gave his rescuers an idea. "We got brave one day," Large said. "We got all prepared with capture gloves and everything — and we let Robert and the cub have a playdate." 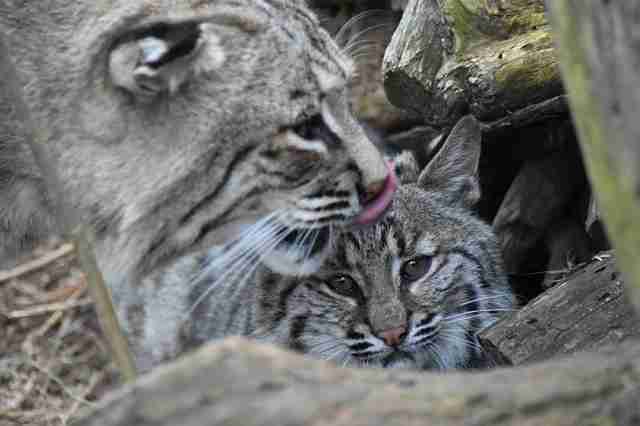 When they were allowed to get together, Robert immediately started licking the little bobcat kitten. And the rest is history. 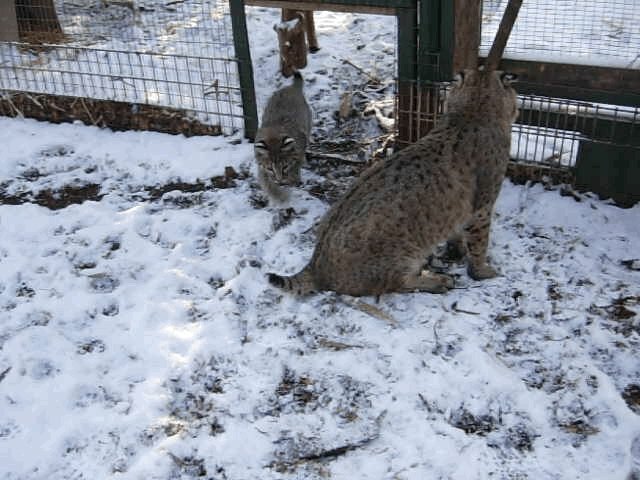 Since then, Robert has helped so many orphaned bobcats get strong enough to be released back into the wild. The orphaned bobcat kittens used to watch the humans come in at feeding time, but now they watch Robert instead. They used to try to play with the humans, and now they play with Robert. Even though Robert's an older cat now, he still knows how to play. And he currently has nine bobcat kittens he's raising. "They’re interested in anything that moves and wiggles," Large said. "And Robert moves and wiggles in the language they understand." "He does correct them every once in a while," Large added. "He does give them discipline." But he's mostly a lenient role model — even when they chase his tail. 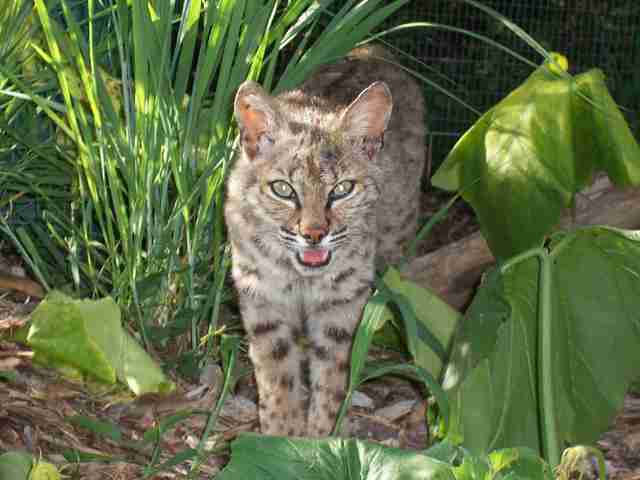 WildCare Oklahoma depends on the public's help to care for the animals they save, including these special bobcats. To support Robert and his foster kids, you can make a donation.